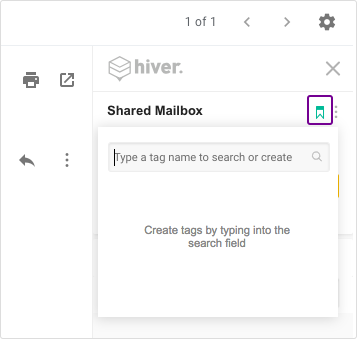 Tags for Shared Mailboxes help you organize your emails by categories. 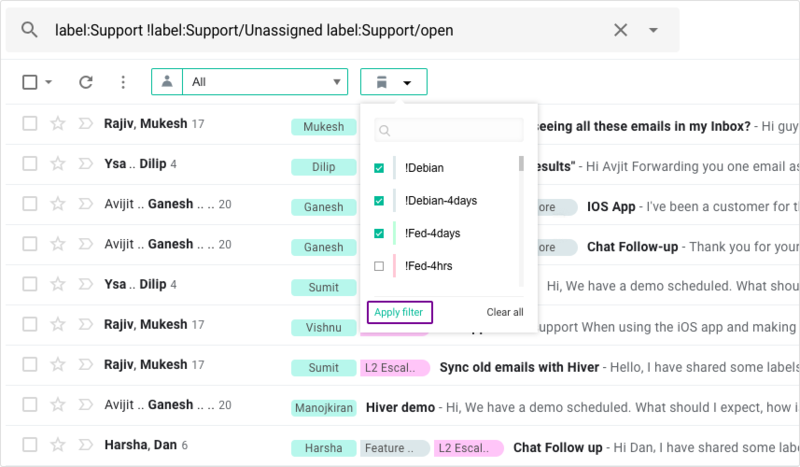 For example, if you use a Hiver Shared Mailbox to manage your customer support, you can use tags to organize your customer emails by the kind of questions they ask or problems they report. Every tag should have a unique name. But the same tag name can be used in different Shared Mailboxes. The maximum permissible length for a tag name is 50 characters. Admins, as well as non-Admins of an Hiver account, can create tags. While creating you can choose a color for the tag. a. Open the email on which you want to apply a Tag. c. Click on the tag which you want to be applied from the list displayed. An activity feed item is created in the Hiver right pane Activity Feed which shows the details about the application of the tag. 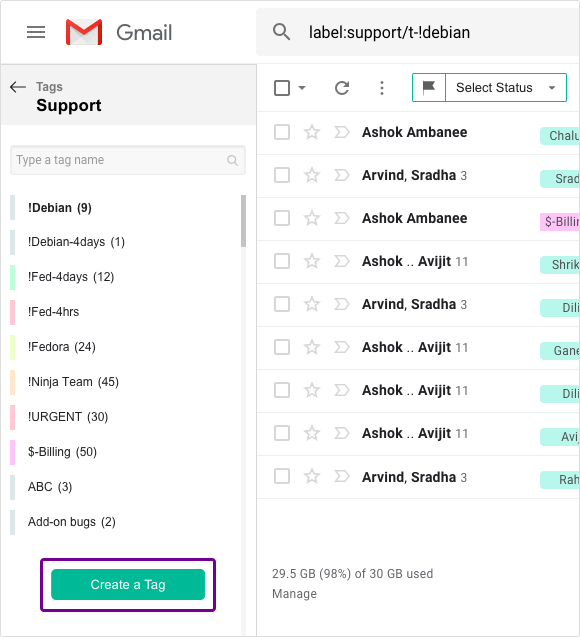 You can apply one or more than one tag on an email. Admins as well as non admins can apply tags. b. Click on the cross to remove the tag from the email. An activity feed item is created in the Hiver right pane activity feed which shows the details about the removal of the tag. When anyone removes a tag from an email, the action gets synced across all the users of the Shared Mailbox. Admins as well as non admins can remove a tag from any email. c. Click on arrow to open the edit pane. 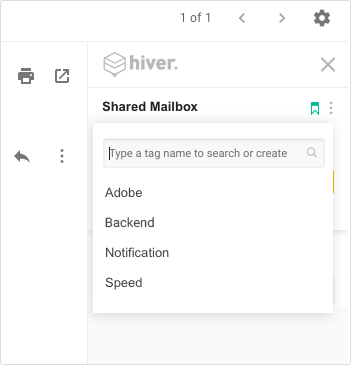 Whenever someone edits a tag, the changes get synched over all the other users of the Shared Mailbox. Admins as well as non admins can rename or change the color of a tag, however only Admins can delete a tag. When you rename a tag, the new name gets reflected on the emails too, ie the tag name on the emails also get renamed. When you delete a tag, it gets removed from all the emails on which it was applied. b. Click on any option to apply the filter. b. Select one or multiple tags and click on 'Apply filter' at the bottom. In case you are selecting more than one Tag, the emails which contain all the selected Tags will get displayed. You can view metrics around Tags through the Analytics section. To learn more, please read about the Tags section in Analytics for Shared Mailbox.